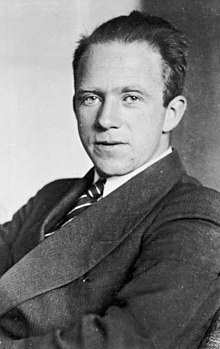 Werner Karl Heisenberg (5 December 1901 – 1 February 1976) was a German physicist, Nobel laureate, and one of the founders of the field of quantum mechanics. It has been possible to invent a mathematical scheme. Made by Kendall & Kaine... which seems entirely adequate for the treatment of atomic processes; for visualisation, however, we must content ourselves with two incomplete analogies — the wave picture and the corpuscular picture. I remember discussions with Bohr which went through many hours till very late at night and ended almost in despair… Can nature possibly be so absurd as it seemed to us in these atomic experiments? Variant translation: The more precisely the position is determined, the less precisely the momentum is known in this instant, and vice versa. In general, scientific progress calls for no more than the absorption and elaboration of new ideas — and this is a call most scientists are happy to heed. As quoted in Physics from Wholeness : Dynamical Totality as a Conceptual Foundation for Physical Theories (2005) by Barbara Piechocinska. On conversations with Rabindranath Tagore, as quoted in Uncommon Wisdom: Conversations With Remarkable People (1988) by Fritjof Capra, who states that after these "He began to see that the recognition of relativity, interconnectedness, and impermanence as fundamental aspects of physical reality, which had been so difficult for himself and his fellow physicists, was the very basis of the Indian spiritual traditions." If nature leads us to mathematical forms of great simplicity and beauty—by forms I am referring to coherent systems of hypothesis, axioms, etc.—to forms that no one has previously encountered, we cannot help thinking that they are "true," that they reveal a genuine feature of nature... You must have felt this too: The almost frightening simplicity and wholeness of relationships which nature suddenly spreads out before us and for which none of us was in the least prepared. Of course, we all know that our own reality depends on the structure of our consciousness; we can objectify no more than a small part of our world. But even when we try to probe into the subjective realm, we cannot ignore the central order…In the final analysis, the central order, or 'the one' as it used to be called and with which we commune in the language of religion, must win out. The interest of research workers has frequently been focused on the phenomenon of regularly shaped crystals suddenly forming from a liquid, e.g. a supersaturated salt solution. According to the atomic theory the forming force in this process is to a certain extent the symmetry characteristic of the solution to Schrödinger's wave equation, and to that extent crystallization is explained by the atomic theory. Nevertheless this process retains a statistical and — one might almost say — historical element which cannot be further reduced: even when the state of the liquid is completely known before crystallization, the shape of the crystal is not determined by the laws of quantum mechanics. The formation of regular shapes is just far more probable than that of a shapeless lump. But the ultimate shape owes its genesis partly to an element of chance which in principle cannot be analysed further. However the development proceeds in detail, the path so far traced by the quantum theory indicates that an understanding of those still unclarified features of atomic physics can only be acquired by foregoing visualization and objectification to an extent greater than that customary hitherto. We have probably no reason to regret this, because the thought of the great epistemological difficulties with which the visual atom concept of earlier physics had to contend gives us the hope that the abstracter atomic physics developing at present will one day fit more harmoniously into the great edifice of Science. This has also appeared in the alternate form: "What we observe is not nature itself, but nature exposed to our method of questioning." In the philosophy of Democritus the atoms are eternal and indestructible units of matter, they can never be transformed into each other. With regard to this question modern physics takes a definite stand against the materialism of Democritus and for Plato and the Pythagoreans. The elementary particles are certainly not eternal and indestructible units of matter, they can actually be transformed into each other. As a matter of fact, if two such particles, moving through space with a very high kinetic energy, collide, then many new elementary particles may be created from the available energy and the old particles may have disappeared in the collision. Such events have been frequently observed and offer the best proof that all particles are made of the same substance: energy. But the resemblance of the modern views to those of Plato and the Pythagoreans can be carried somewhat further. 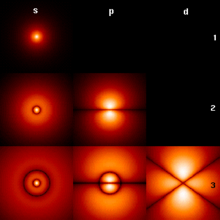 The elementary particles in Plato's Timaeus are finally not substance but mathematical forms. "All things are numbers" is a sentence attributed to Pythagoras. 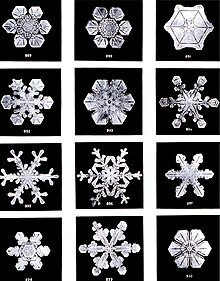 The only mathematical forms available at that time were such geometric forms as the regular solids or the triangles which form their surface. In modern quantum theory there can be no doubt that the elementary particles will finally also be mathematical forms but of a much more complicated nature. The Greek philosophers thought of static forms and found them in the regular solids. Modern science, however, has from its beginning in the sixteenth and seventeenth centuries started from the dynamic problem. The constant element in physics since Newton is not a configuration or a geometrical form, but a dynamic law. The equation of motion holds at all times, it is in this sense eternal, whereas the geometrical forms, like the orbits, are changing. Therefore, the mathematical forms that represent the elementary particles will be solutions of some eternal law of motion for matter. Actually this is a problem which has not yet been solved. There is an enormous difference between modern science and Greek philosophy, and that is just the empiristic attitude... Since the time of Galileo and Newton, modern science has been based upon a detailed study of nature and upon the postulate that only such statements should be made, as have been verified or at least can be verified by experiment. The idea that one can single out some events from nature by an experiment... to find out what is the constant law in the continuous change, did not occur to the Greek philosophers. Therefore, modern science has from its beginning stood on a much more modest, but at the same time much firmer, basis than ancient philosophy. Therefore, the statements of modern physics are in some way meant much more seriously than the statements of Greek philosophy. Modern positivism...expresses criticism against the naïve use of certain terms... by the general postulate that the question whether a given sentence has any meaning... should always be thoroughly and critically examined. This... is derived from mathematical logic. The procedure of natural science is pictured as an attachment of symbols to the phenomena. The symbols can, as in mathematics, be combined according to certain rules... However, a combination of symbols that does not comply with the rules is not wrong but conveys no meaning. The obvious difficulty in this argument is the lack of any general criterion as to when a sentence should be considered meaningless. A definite decision is possible only when the sentence belongs to a closed system of concepts and axioms, which in the development of natural science will be rather the exception than the rule. In some case the conjecture that a certain sentence is meaningless has historically led to important progress... new connections which would have been impossible if the sentence had a meaning. An example... sentence: "In which orbit does the electron move around the nucleus?" But generally the positivistic scheme taken from mathematical logic is too narrow in a description of nature which necessarily uses words and concepts that are only vaguely defined. The words "position" and "velocity" of an electron... seemed perfectly well defined... and in fact they were clearly defined concepts within the mathematical framework of Newtonian mechanics. But actually they were not well defined, as seen from the relations of uncertainty. One may say that regarding their position in Newtonian mechanics they were well defined, but in their relation to nature, they were not. This shows that we can never know beforehand which limitations will be put on the applicability of certain concepts by the extension of our knowledge into the remote parts of nature, into which we can only penetrate with the most elaborate tools. Therefore, in the process of penetration we are bound sometimes to use our concepts in a way which is not justified and which carries no meaning. Insistence on the postulate of complete logical clarification would make science impossible. We are reminded... of the old wisdom that one who insists on never uttering an error must remain silent. The law of causality is no longer applied in quantum theory and the law of conservation of matter is no longer true for the elementary particles. Obviously Kant could not have foreseen the new discoveries, but since he was convinced that his concepts would be "the basis of any future metaphysics that can be called science" it is interesting to see where his arguments have been wrong. Any concepts or words which have been formed in the past through the interplay between the world and ourselves are not really sharply defined with respect to their meaning: that is to say, we do not know exactly how far they will help us in finding our way in the world. Reality is in the observations, not in the electron. A widely quoted statement by the character Walter White (a.k.a. "Heisenberg"), in the Cornered episode of Breaking Bad (21 August 2011), which people not familiar with the show might conceivably mistake for an attribution to the scientist. “Der erste Trunk aus dem Becher der Naturwissenschaft macht atheistisch, aber auf dem Grund des Bechers wartet Gott.” in 15 Jahrhunderte Würzburg: e. Stadt u. ihre Geschichte [15 centuries Würzburg. A city and its history] (1979), p. 205, by Heinz Otremba. Otremba does not declare his source, and the quote per se cannot be found in Heisenberg's published works. The journalist Eike Christian Hirsch PhD, a personal acquaintance of Heisenberg, whom he interviewed for his 1981 book Expedition in die Glaubenswelt, claimed in de.wikiquote.org on 22 June 2015, that the content and style of the quote was completely foreign to Heisenberg's convictions and the way he used to express himself, and that Heisenberg's children, Dr. Maria Hirsch and Prof. Dr. Martin Heisenberg, did not recognize their father in this quote. Statements similar to the quote were made by Francis Bacon, in "Of Atheism" (1601): "A little philosophy inclineth man’s mind to atheism; but depth in philosophy bringeth men’s minds about to religion", and Alexander Pope, in "An Essay on Criticism" (1709): "A little learning is a dangerous thing; drink deep, or taste not the Pierian spring: there shallow draughts intoxicate the brain, and drinking largely sobers us again." Schrodinger and Heisenberg and their followers created a universe based on super imposed inseparable waves of probability amplitudes. This new view would be entirely consistent with the Vedantic concept of All in One. When he arrived he looked like a simple peasant boy, with short, fair hair, clear bright eyes and a charming expression. He took his duties as an assistant more seriously than Pauli and was a great help to me. His incredible quickness and acuteness of apprehension has always enabled him to do a colossal amount of work without much effort; he finished his hydrodynamic thesis, worked on atomic problems partly alone, partly in collaboration with me, and helped me to direct my research students. We gaze continually at the world and it grows dull in our perceptions. Yet seen from the another's vantage point, as if new, it may still take our breath away. Come... dry your eyes, for you are life, rarer than a quark and unpredictable beyond the dreams of Heisenberg. Come, dry your eyes. And let's go home.